Black Sheep Restaurants co-founder Syed Asim Hussain followed in his father’s footsteps when he opened his first eatery in 2012. Seven years later, the successful Hong Kong-based group has over 20 establishments—but one in particular has special significance for Hussain. Opened in 2017, New Punjab Club is a riff on a restaurant owned by his father decades prior, Mughal Room, which was located just a few doors down on the same street in downtown Hong Kong. As well as taking inspiration from his father’s restaurant, New Punjab Club uses Mughal Room’s original ovens and even employs some of its former staff. Earlier this year, New Punjab Club took it to the next level, becoming the first Punjabi restaurant in the world to receive a Michelin star. Another Black Sheep restaurant, Belon, also received a star in 2019, making Hussain the youngest restaurateur in the world to hold two of the coveted accolades. 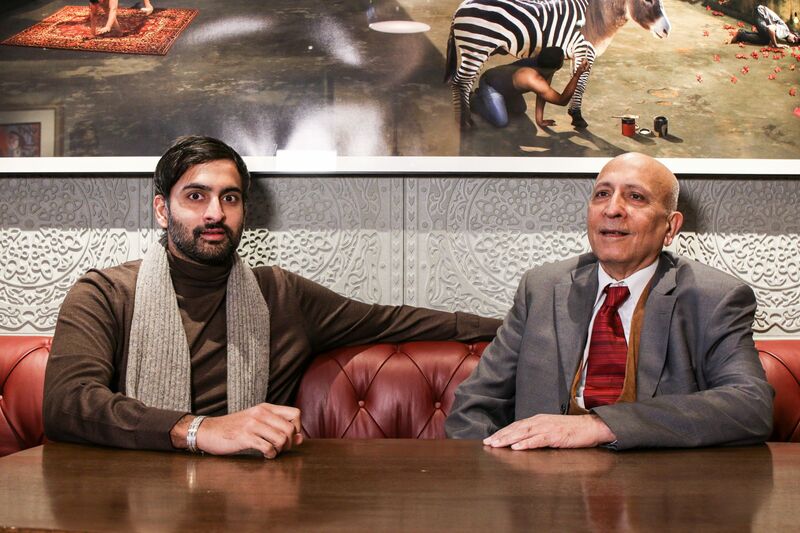 We asked Hussain and his father, Syed Hussain, to sit down at New Pubjab Club for an on-camera conversation about legacy, duty and passing the baton. Trailblazers What Have The Hong Kong 2016 Generation T Honourees Been Up To?